Watching a loved one struggle through a drug addiction can be painful, confusing, and overwhelming, especially when this person is your spouse. The reality is that drug addictions arise from many complex factors – some things which cannot necessarily be helped or prevented. On the other side of things, seeing a spouse struggle with a drug addiction can provoke feelings of resentment, anger, and frustration. You might find yourself questioning how your spouse could inflict these behaviors on you and your family, feeling somewhat of a victim of the whole ordeal. All of these feelings are valid and should be processed as part of the healing process from substance abuse and addiction. Relationships are complex and give us the opportunity to connect and fellowship with a person in our lives whom we have chosen to share ourselves with. This also creates a sense of vulnerability, and weaknesses in relationships are often felt strongly and at times, harshly. When it comes to supporting your spouse through an addiction, it is important to first come to the realization that you are not to blame or at fault for what has happened. Addictions develop from a combination of many different factors–many things which are out of your control, like biological influences or genetics. The fact is, holding on to unnecessary guilt will not enable you to support your spouse fully and completely during their recovery journey, and it is essential to have appropriate ways for coping with the many different emotions you might be experiencing. Working with a comprehensive and professional treatment team for drug addiction recovery is absolutely crucial for healing and recovery. 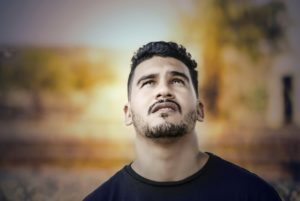 Many individuals addicted to drugs will undergo a withdrawal phase as part of their recovery as they learn to physically, emotionally, and psychologically function without dependency on the drug. The withdrawal aspect of treatment can be incredibly intense, coupled with severe health consequences resulting from detoxification. As a spouse, it may be helpful to understand that this is a short but intense phase, and your ongoing support and compassion can be helpful to your loved one in the midst of all they are experiencing. Consider seeking out your own support as a means of having a healthy way of coping with the various things you might encounter during the recovery journey, and know that you are not alone in the struggles and obstacles you might be facing. While there may be many things you want to process with your spouse, including aspects of your marriage, family and more, know that there is a right time in the recovery process. The first step toward full healing begins with abstinence from the drug or substance of choice. When the body and mind are no longer under the influence of a substance, there becomes greater opportunity for deep healing and restoration on multiple levels. Consider enlisting the help of a comprehensive and professional support team to guide you and your spouse throughout this difficult time. Know that you are not alone in this journey, and take each day one step at a time. If you have supported a loved one through a drug addiction, what encouragement might you offer to another person in the same position?